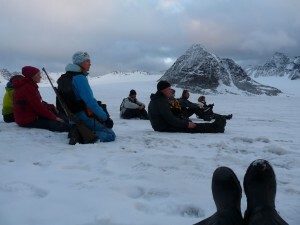 We sit on a rock, 27 guests, three guides. We look down into the bay, where the Antigua is waiting for us. Nobody talks, nobody moves. For five minutes, we shall be quiet. But there is no silence. We hear thousands of birds in the distance, flying around one of the steep cliffs. Guillemots sometimes chase over our heads. Somewhere we hear gurgling water. 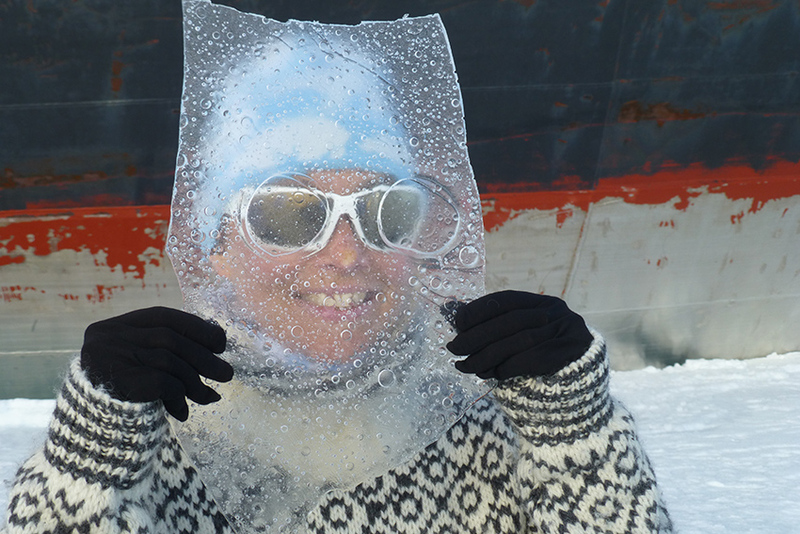 This is the sound of the Arctic in Spitsbergen. When all is quiet, you can hear how much life and how much movement there is. I look at my watch and say, the five minutes are over. Three guests turn to me and say: Can we have another five? And a bit later, returning to our ship, everybody is smiling so radiant, as if they had drunken a Magic Potion on land. I live in the Bavarian Alps, I like being surrounded by nature, I go Skitouring in winter (skiing without cable car, so you are required to walk uphill) and hiking in summer. Mountains and snow, ice and wind are familiar terrains for me. 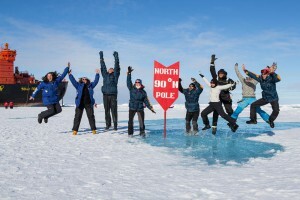 This outdoor experience was taken to another level, when I took part in ski expeditions to the North Pole and across Greenland, and these experiences have proved invaluable to me today, when I am responsible for guests in polar regions. 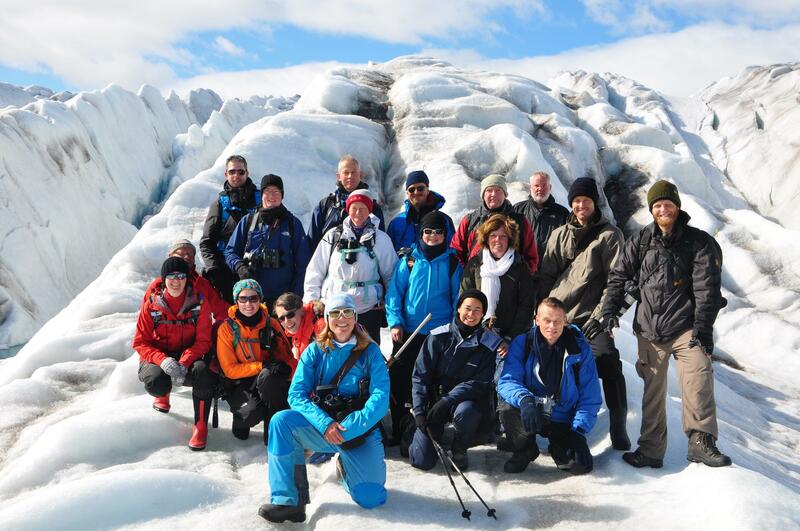 Since 2008 I have been working on expedition cruise ships, and since 2014 as an expedition leader. 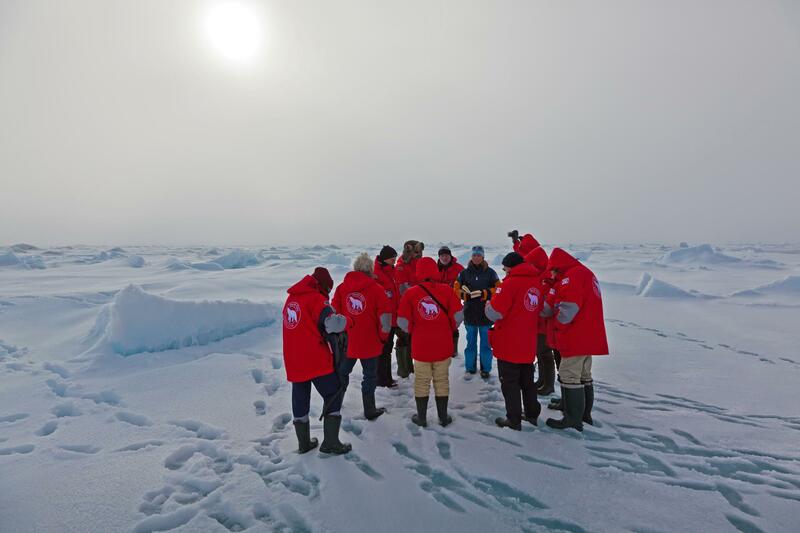 The main task in this work is, to bring guests happily and safely into the Arctic and back. My goal is also to impart knowledge about this wonderful region. 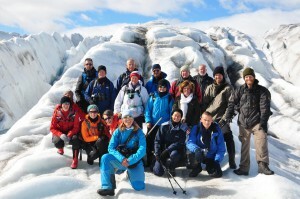 Those who travel trough Franz Joseph Land without any knowledge about these islands, may only see ice and rocks. But those who read the exciting, sometimes tragic stories that happened there, those who listen to the lectures on board the ships, will feel the uniqueness of these islands – and also the uniqueness of his own visit. The voyage becomes a much greater experience. For example, without knowing the story of the Fram expedition, the „hole in the ground“ where Nansen and Johansen once wintered is just another hole in the ground. But with the story in mind we can explore these sites and feelt transported to another age of heroism and adventure. Those who know about the fragile ecosystem in higher latitudes will rejoice much more with all their wildlife sightings, happy with each remarkable flower that they ecounter. 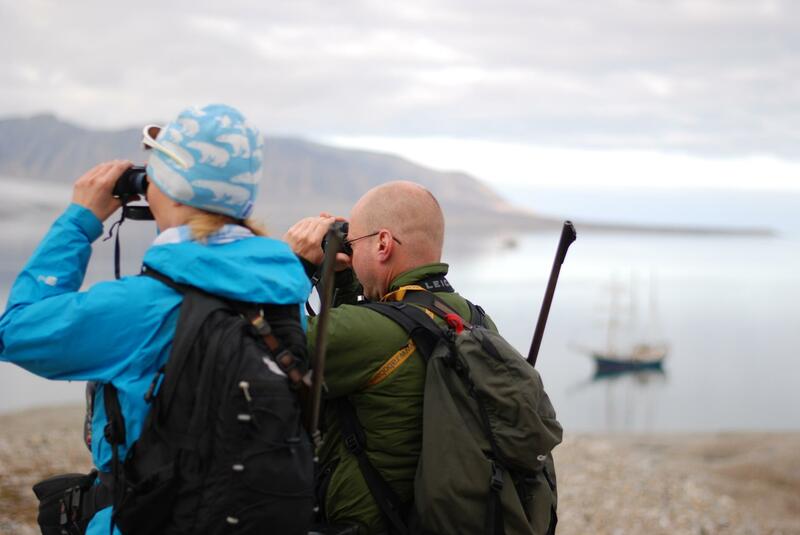 I want to create awareness for the value of everything we can see in Arctic. Plastic pollution is a subject very dear to me. 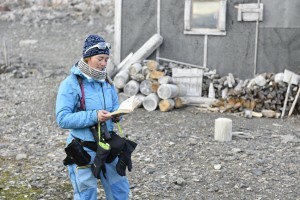 Through lectures about this topic I would like to demonstrate, that everything in our world is connected to everything else: the Arctic is not a strange and remote place without any connection with us. It is not meaningless, if we use for every purchase at home another plastic bag, buy shrink-wrapped bananas or dress ourselves completely in plastic. Those who still cannot see a reason to use less plastic, will find that reason in Spitsbergen. Therefore we always try to clean beaches, and most of the time the guest are initiating this worthwhile endeavour themselves. It has a special effect, when you talk about these subjects in such a marvelous surrounding as the Arctic. I am convinced that it does something to people, when they see places where no other human being has left any trace. Untouched regions, where the world looks as it would without us. There you understand how much we have changed our planet, and how much we continue to change it. Sometimes, after my travels, I get mails from my guests. They tell me they no longer use plastic bags and that they have changed other aspects of their lifestyle. What can I say? It makes me really happy. 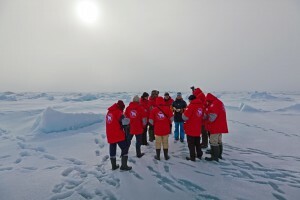 It shows that it makes sense, what guides do and say, and the things that we are always discussing and lecturing about. 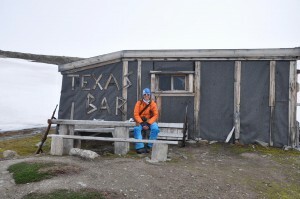 It means that this form of tourism is not only fun. It is a lof fun, yes! But it also has that power to do something greater – the power to change people´s attittudes and actions for the better. German Certificate for Handling Rifles and Handguns.